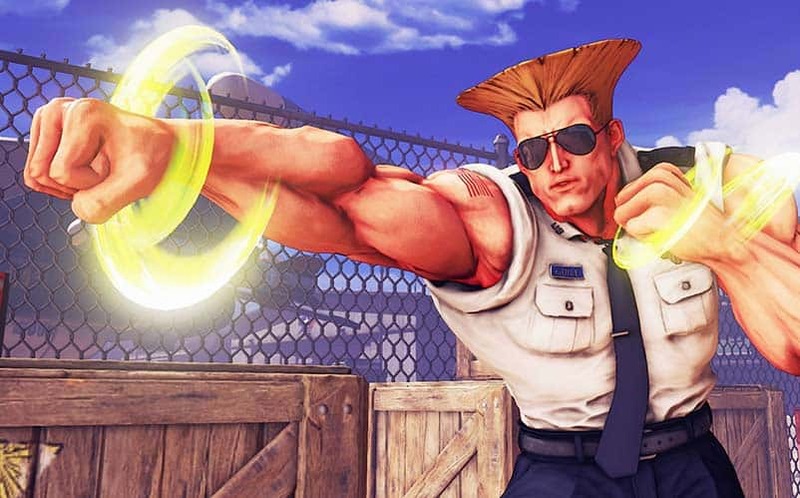 Street Fighter 5 April Update Adds Guile, Rage Quit System | Nerd Much? Guile first appeared in Street Fighter II, and quickly became one of the most frequently used fighters on the roster. He brings his iconic (and ridiculous) haircut to the PS4 console exclusive later this month, where he’ll be free to try until Zenny currency is introduced. Once released, players will be able to purchase him, or he’ll be free for Season Pass holders. The April update will also introduce a new DLC stage in the form of Guile’s Air Force Base, which will cost 70,000 Fight Money. It will also be free to Season Pass holders. What’s more, the update will introduce a new Rage Quit punishment system that will lock players with high disconnect rates out of matchmaking. Capcom noted in their official Capcom Unity post that they’ll add more to this system in the future. Now, we’re just waiting on any mention of E. Honda or Blanka. For a complete overview of Guile’s move set, check out the official post on the Capcom Unity blog. Stay tuned to Nerd Much this weekend as we’ll be officially introducing to our Twitch to stream all-day in celebration of our one year anniversary, where we’ll definitely be streaming some Street Fighter 5.